On Friday, President Donald Trump pardoned former Arizona Sheriff and notorious racist Joe Arpaio’s conviction of criminal contempt of court. The former Sheriff is known for his blatant racial profiling of Latinx residents, torture of pre-trial detainees, and emphatic support of Trump. 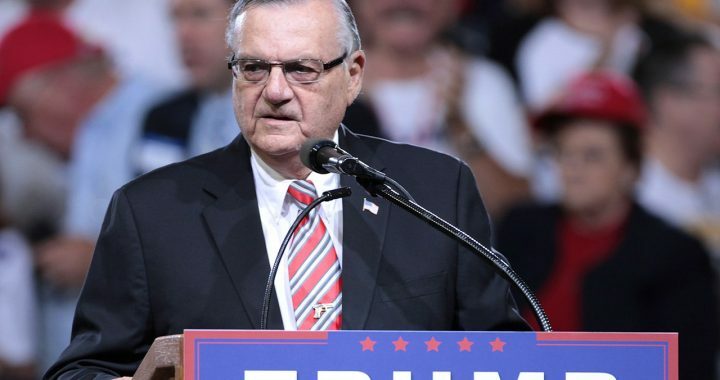 Read more about Arpaio and Trump’s pardon at this piece by former NLG President Marjorie Cohn, Trump’s Arpaio Pardon Signals to White Supremacists, ‘I’ve Got Your Back. Posted in Announcements and tagged Arizona, Donald Trump, Immigration, Joe Arpaio, Torture.